We have found 102 items matching your search query. 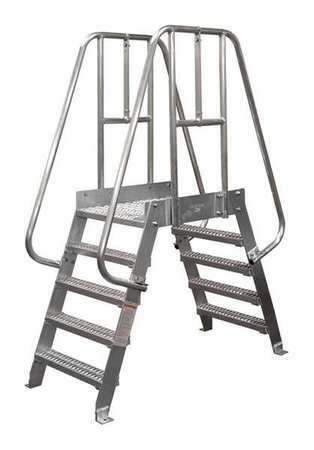 Crossover Ladder, Vertical Clearance 46 In., Span 36 In., Platform Height 48 In., Platform Depth 44 In., Number of Steps 6, Load Capacity 500 lb. 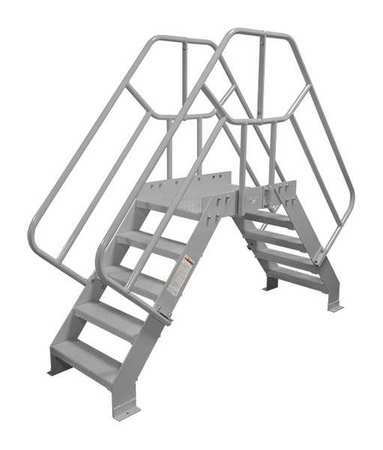 Crossover Ladder, Vertical Clearance 46 In., Span 24 In., Platform Height 48 In., Platform Depth 33 In., Number of Steps 6, Load Capacity 500 lb., Overall Height 90 In. Ladders are unique aerial access solutions. 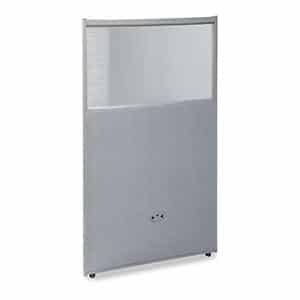 They are compact in design, mobile and make high altitude maintenance and repairs easier. But what makes steel ladders particularly useful is their built. As apparent by their name, these ladders are made of corrosion resistant steel. This makes them more important in warehouse and other similar work environments. Moreover, we design them in a way that minimizes chances of injury. They are easy to operate, climb and otherwise work with, offering greater stability. While steel ladders are heavier, they’re still easy to maneuver around. We offer several portable solutions to make operating steel ladders easier. At Industrial Man Lifts, you can find a line of models manufactured for different work environments. 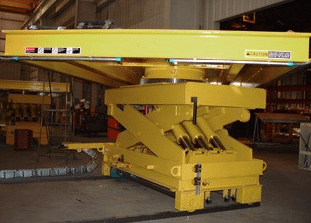 Depending on your routine operations, you can find a size and built that perfectly matches your requirements. If you want a highly customized ladder, we’ve got you covered. At Industrial Man Lifts, we offer complete customization for all our aerial access solutions. Call us today at (888) 730-8377 to discuss the details of your customization. Or, request a quote directly if you know what you need.